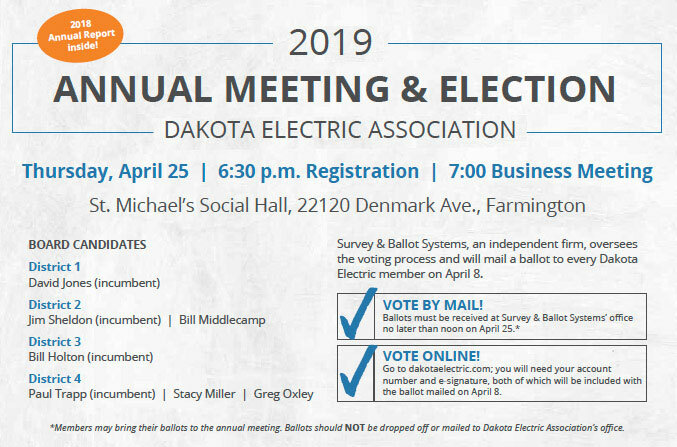 Dakota Electric Association® will hold its Annual Meeting on Thursday, April 25, at St. Michael’s Catholic Church social hall at 22120 Denmark Ave., Farmington (next to Dakota Electric’s office). The meeting begins at 7 p.m.; doors open at 6 p.m., and refreshments will be served before the meeting. Dakota Electric members will have the opportunity to hear reports from officers and directors, ask questions and hear election results at the meeting. 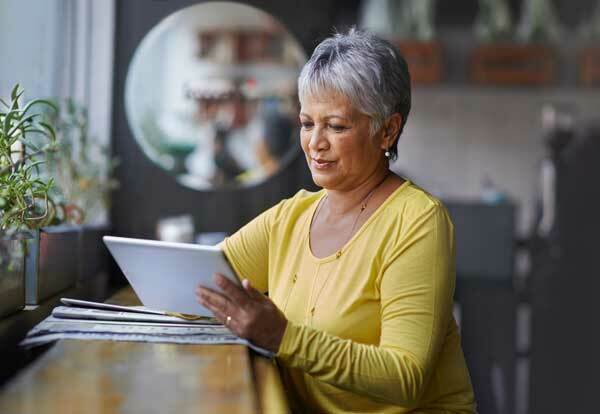 Read the Annual Meeting news release here.